If you know me, you know I love big, bold prints. I&apos;m all about making a statement with my prints and, as such, one of my favorite ways to rock a print is in tie-dye form. Now I&apos;m not talking the psychedelic kind of tie-dye necessarily, but more updated versions that are totally 2015...And I&apos;ve added tie dye to my lil&apos; lady bean&apos;s wardrobe too! She&apos;s a great sport when it comes to fashion, so she loves it when she has a new "pretty," as she calls anything she gets to wear, to try on. One of her newest pretties is a darling jumper from Who&apos;s Little? The gorgeous saturated colors almost look like a sunset, making it perfect for my Florida girl. We do have some of the most beautiful sunsets in the world after all. I adore pieces like this because you need little else, but a sweet pair of sandals to complete the look. And that&apos;s what I focus on for our summer wardrobes. Easy breezy printed pieces, like jumpers for instance, that don&apos;t take much effort, but make a big impact. Is anyone else obsessed with jumpsuits and rompers by the way? I still can&apos;t get enough of them! In case you missed it, I posted a slew of adorable one piece looks last month! 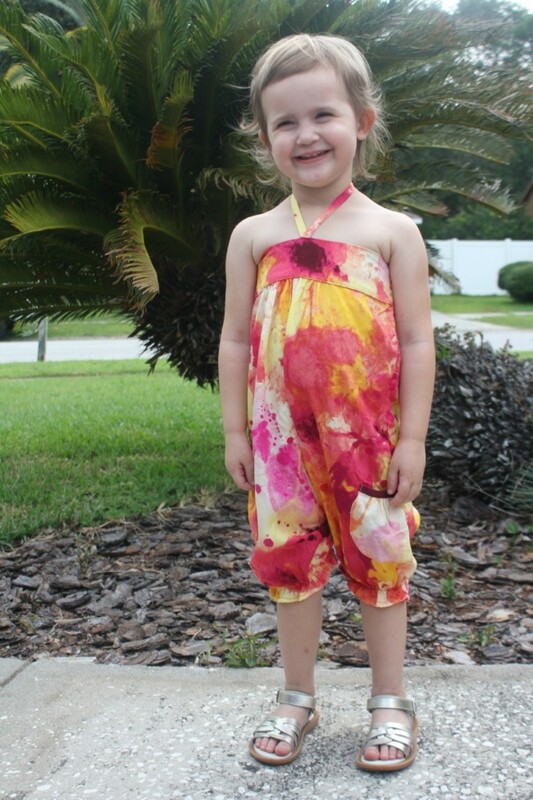 I know you&apos;re probably rounding our your kiddos summer wardrobes too right now, so I&apos;ve gathered a few oh so groovy tie-dye pieces for you! 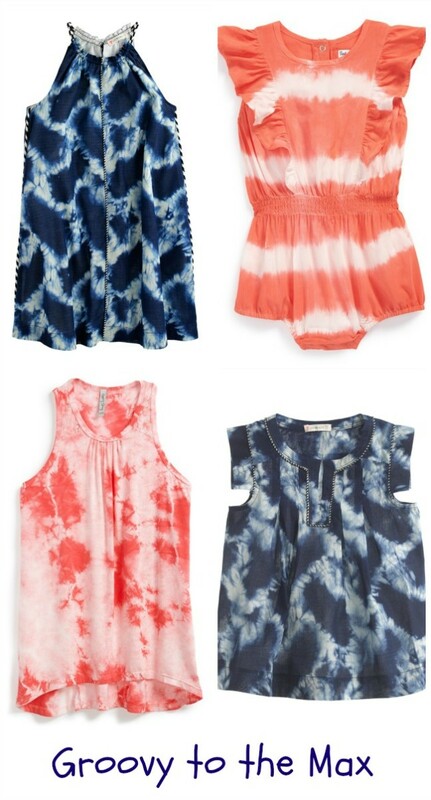 From dresses to tops and, yes, jumpsuits, these tie-dye pieces are must haves for your kiddos&apos; style filled summer! I&apos;m partial to the indigo J. Crew frock myself. We&apos;re headed out for a beach vacay in a few weeks and I do believe that little number belongs in my daughter&apos;s suitcase. Just sayin&apos;!